Description: Located in the eastern part of Rwanda bordering Tanzania, Akagera National Park covers 2500 sq km of Savannah, showcasing a vastly different environment than the typical cloud misted cultivated hillsides that comprise the majority of Rwanda territory. The Park is named after Akagera River which flows along the Park’s eastern boundary into the labyrinth of smaller lakes and wetlands. Despite this, the habitat of Akagera mirrors what one would expect to see in the national parks of Kenya or Tanzania, with Acacia trees interspersed on open grassland. Akagera is home to over 500 species of birds, 90 elephants, buffalo, hippos, and antelopes, all which visitors have a good chance of encountering when on safari. There is also a chance to come across a leopard, a spotted hyena or a lion, though visitors who encounter these are far luckier than most. Though Akagera is like the little brother to any of the more grandiose safari parks that can be found in Kenya or Tanzania, visitors enjoy breathtaking scenery unique only to an area with both grasslands and a labyrinth of smaller lakes. It offers a chance to view some of East Africa’s iconic wildlife that should not to be missed if it’s your only chance to see savannah habitat. Interested in Travel in Africa? Check out our sister site, Access 2 Tanzania! 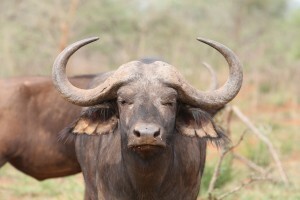 Visit Tanzania with the best safari tours and highest rated safari guides. After successfully operating quality safaris in Tanzania for more than 10 years and a non-profit organization that supports orphaned and other vulnerable children for 15 years, we opened Treks 2 Rwanda to offer the same high level of service. 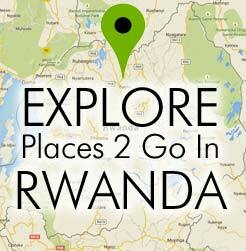 Book your Rwanda vacation with us.